Are you still sad that Marvel’s Iron Fist is ending? Recent, star Finn Jones reacted to news of the Netflix TV show’s cancellation. As reported earlier, the streaming service has cancelled the superhero drama after two seasons. The show stars Jones as Danny Rand (aka Iron Fist), a martial arts expert who returns to New York City 15 years after going missing. The cast also includes Jessica Henwick, Jessica Stroup, Tom Pelphrey, David Wenham, Wai Ching Ho, Barrett Doss, Rosario Dawson, Sacha Dhawan, Ramon Rodriguez, Simone Missick, and Alice Eve. Two Fists, one Defenders, and a Cage later… thank you to the cast, crew and fans for this journey. Playing Colleen changed my life. 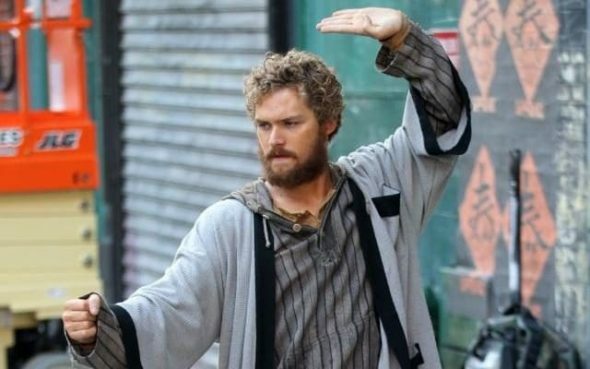 🙏 #IronFist. #ColleenWing @finnjones @jessicalstroup @tommypelphrey @simonemissick @giulliang @rosariodawson @sacha_dhawan @rodriguezramon @jameschennyc!! What do you think? Have you seen Marvel’s Iron Fist? Would you have watched a third season? I was truly looking forward to a third season! I just love this series. Very disappointed that is is canceled! Thank you’s are not enough for the cast! Very well done! I was looking forward to a female Iron Fist next season. It’s unfortunate that the show had a rocky start. I would have dropped the Meachem sister. Her revenge was over the top and there is no path to redemption for her. The Meachem brother would need to grow up. It could have been saved.